Screen captions from Faroe Islands Translate website. Image mixed by Nevin Thompson. Screen caption from Faroe Islands Translate. Click to view translation. 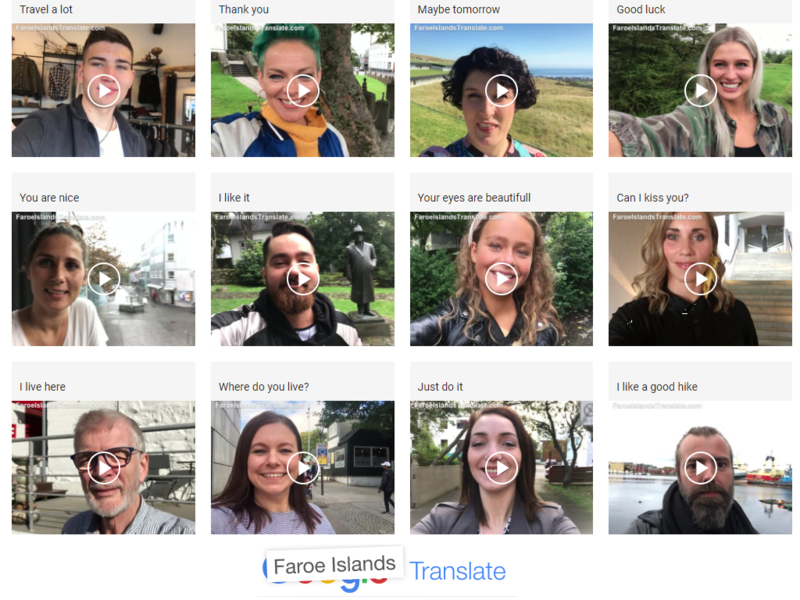 Since translation requests are all crowd-sourced from the Internet, the website features a wide variety of phrases in Faroese, from asking directions to how to ask a Faroe Islander for a date. Thanks to the website, no matter what time of day it is, there is always someone ready to translate for you in real-time. Screen caption from Faroe Islands Translate. Click here to view translation. The Faroe Islands form an archipelago located in the Atlantic Ocean to the north of Scotland. 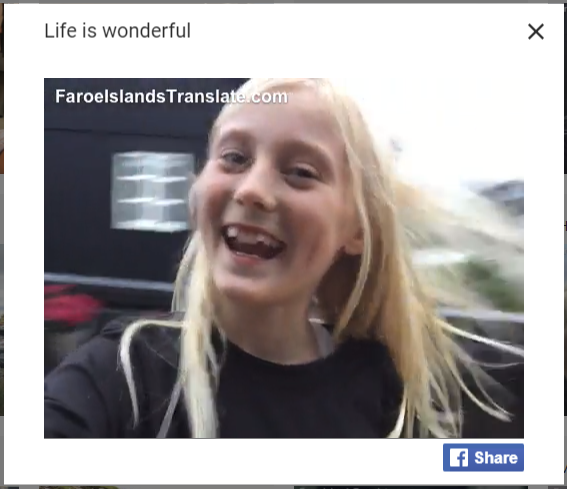 An autonomous country within the kingdom of Denmark, the Faroe Islands are home to about 50,000 people, making Faroese a minority language and a challenge for Google Translate to address accurately. 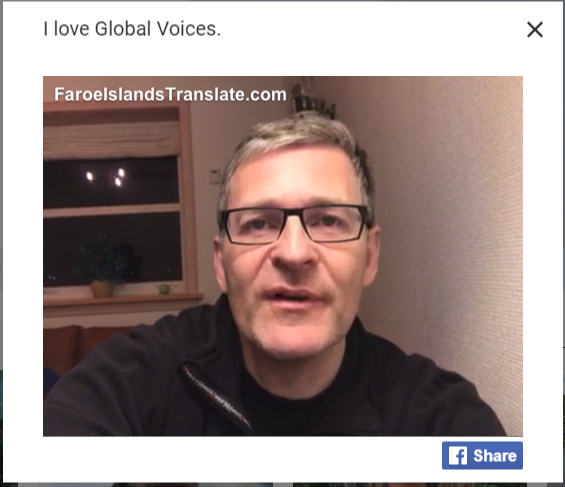 Between full-time residents of the islands and islanders who now live in other parts of the world, there are about 75,000 speakers of Faroese. The language of the archipelago is descended from Old West Norse which was spoken by the Norse settlers who arrived on the islands in the 9th Century. This isn't the first time the Faroe Islanders have literally put themselves on the map. In 2016, with their country still not appearing on Google Street View, the tourism commission decided to launch Sheepview360. Five of the island’s sheep were fitted with a 360-degree camera in order to take panoramic images of the entire country. Shortly afterward, Google Maps showed up to map the Faroe Islands. It is now Google Translate's turn to catch-up to the island's clever, do-it-yourself solutions.